The road to Tokyo starts here, April 2019. People, even people within an Olympic sport, often wonder how exactly one makes it to the Olympic Games. This only happens once every four years, and between the years there are always changes that happen. In between, it can be hard to keep track of what’s what and how things are going to go. This time around there are some critical changes that potentially have an effect on who will make the cut. If you’re new to following Olympic fencing qualification, then here we’re going to spell it out for you. If you’re not, then read on to find out the new changes. The Olympics are the biggest fencing event in the world. Every four years, our sport gets international attention and our athletes are talked about on the news and online in more detail than at any other time. During those two weeks, the world is paying attention. Right now, the 2020 Olympic Games are more than a year away, so why should you bother thinking about them now? 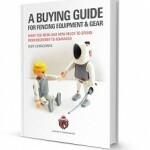 The reason is that by following the Olympic qualification process, you and your child fencers will be more invested in the process and in the fencers who make it. It builds the Olympic Games up to be even bigger for you than they already are, and it makes the whole thing a lot more gratifying and enjoyable. If you start now, then by the time the Games start in Japan next summer, you’re going to know everyone’s name and be ready to cheer on the Team USA and your international fencing favorites too. 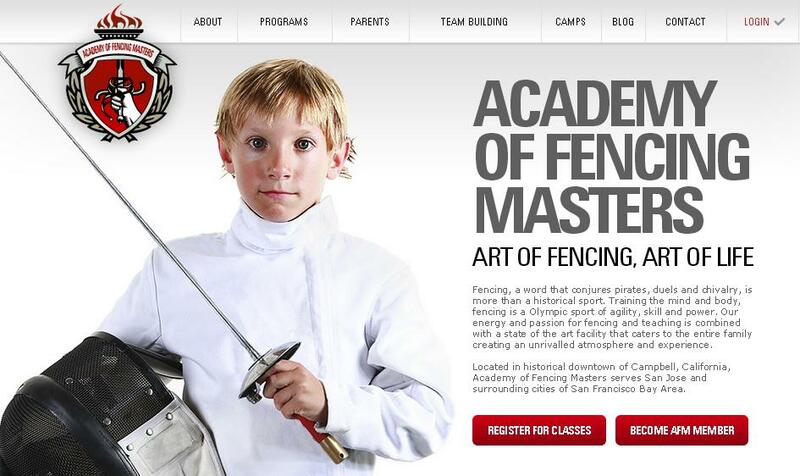 This is especially important if you’ve got a child who is fencing and they have a dream of becoming an Olympian. By following the progress of fencers through Olympic qualification, your young fencer can better understand just how much work goes into getting there. These athletes don’t just show up to the Olympic Games a couple of weeks ahead of time when the world press starts talking about them. It took a year just to qualify! It’s a majorly wonderful window into what it takes to get to the Olympics. Don’t you just get a little excited thinking about it already? There is one major change that’s coming for fencing for the 2020 Olympics in Tokyo, and it’s a long time in coming. All twelve sets of Olympic fencing medals will be awarded for the first time! For decades now the events have rotated, with the team fencing events not being included in every one of the Games but rotating through. Up until the Tokyo Olympic Games, there were only ten sets of medals for fencing, and that meant that two teams, one for men and one for women, were excluded from each of the Games, rotating between different weapons. For instance, Men’s Team Epee and Women’s Team Sabre were not included in 2012, and Men’s Team Sabre and Women’s Team Foil were not included in 2016. For weapons that were excluded from the team competition that meant a lot. That meant that instead of team qualification there was an individual qualification for the Olympic Games. Let’s take a closer look why this was a huge problem. Take Men’s Epee for example. In the 2012 Games it was not present, so the last time a country qualified as a team was in Beijing 2008 and the next time in Rio 2016. This is a span of eight years! For an athlete, eight years is eternity, and thus for many fencers the Olympic dream was beyond the reach. It’s an unfortunate truth. This will not be the case starting with the 2020 Olympics. That means we’ll get everything for every weapon AND the major qualification process for the Games will be via the team qualification AND a unified process and experience for all weapons, as we will discuss below. This is really fantastic, as before with two team events being omitted, it not only denied participation for entire countries, but it also limited participation for individuals from each country. Justice has now prevailed! It’s gratifying to have a level playing field for all disciplines of fencing for the first time in Olympic history. Just as is the case with qualification for national competitions like U.S. Fencing Summer Nationals, qualification for the Olympics is all about the points. For anyone reading this who might be unfamiliar, fencers earn points by competing and placing in competitions. That placement then translates to an international rank by weapon and gender that correlates to each of the Olympic fencing sports that are available. The primary thing that will be based on are the FIE Official Ranking as of April 4, 2020. There are other spots available through the four zonal qualifying tournaments as well. Qualification is the same no matter what weapon a fencer is participating in based on FIE Official Ranking, both for teams and individuals. Whenever we say “points”, we are meaning points that a fencing team or individual acquires via the FIE international scoring system through qualifying competitions according to the rules and then ranked from highest to lowest based on number of qualifying points. There are many of these competitions all over the world throughout the course of the year, including Grand Prix and World Championships as well as others, which you’ll find listed specifically below. This qualification period starts on April 3, 2019 and ends on April 4, 2020. Here’s how the qualification breaks down for the team vs. the individual events. We are going to give a highlight of the qualification and then explain it in details. Should a zone has no team ranked between #5 and #16, then the nation with the highest rank that is not already qualified will take that spot, no matter what zone they’re from. Team fencers automatically qualify for the corresponding individual event. Host country can potentially be added as 9th qualifying team if not qualified via standard qualification. Let’s explain this a little more deeply now that you’ve got the bullet point version. There are several important principles that the IOC and FIE have set for Olympic fencing participation. In particular, the maximum number of participants in the Olympic Games from each country is three per weapon, making the maximum nine men and nine women. Also, as the Olympic movement wants to be as inclusive and geography wide as possible, the qualification takes zone into account. That’s why it is important to be one of the best teams in your zone. Fencing divides the world into four zones: Europe, Asia-Oceania, Americas and Africa. In general, in every discipline there will be thirty-four fencers who will be chosen via the same qualification process, regardless of weapon or gender. Among these thirty-four fencers there are twenty-four fencers who will represent via teams of the eight qualifying countries. These fencers are fencing both individually and as a team. Each country’s team is composed of three people, so in the team event there will be eight teams. Another ten people will be chosen based on individual qualification process. As you saw in the outline above, the most important for the Olympic qualification is to qualify as a nation’s team. The eight teams are chosen based on their FIE ranking: the first four are the top four ranked countries, and the other four are the top ranked team from each zone that are ranked in positions five through sixteen. If a zone does not have a team in positions five through sixteen, then the highest ranked team in a position five through sixteen that was not yet chosen will be taken, regardless of the zone. By that process, eight teams are selected and their three fencers will be competing individually. The next ten people will be selected based on their individual ranking: six will be chosen automatically and four will be chosen from each zone in one final Olympic Qualifier tournament. The six will be selected based on their individual ranking as following. First they exclude all athletes from the selected teams, and then the top two European fencers from different countries, top two Asian fencers from different countries, and top fencer each from the Americas and from Africa will be selected. The last piece of the puzzle will be completed in the Olympic qualifier, in which only countries that have not yet selected representatives may compete. This is a one chance event – only the winner will qualify for the Games, raising the total count of the fencers in this weapon to thirty-four. The host country has an additional quota of eight men and eight women fencers, which they will use for those cases when their teams/fencers do not qualify otherwise via the standard qualification process described above. If you followed the explanation, then you will notice a very important thing for the Olympic Games and and additional reason why the team qualification is so important for the Olympics. If a country’s team does not qualify via the team qualification, this country cannot send more than one qualified fencer! So while country which has a qualified team sends three fencers to the Olympics, a country without a team can have no more than one fencer, with the exception of the host country of course. Which makes the team competitions in the upcoming World Cups, World and Zonal Championship so important! The host country has an additional eight potential spots per gender. They will use these spots in those disciplines where they did not qualify via the standard qualification process. Lets see how this might affect the numbers for some of the events. Let’s assume (only for the sake of example!) that the Japanese do not succeed to qualify their women’s sabre neither as a team nor as individuals. So they might decide to put three fencers as a women’s sabre team and individually. This means that Women’s Sabre events will be 34+3=37 fencers competing individually and 8+1=9 teams in the team event. In addition to the main team members, each qualifying team is also eligible to have 1 alternate fencer, who might compete only in a team event. Now that you know how fencers can qualify for the 2020 Olympics in Tokyo, surely you want to know the timeline for that qualification! April 3, 2019 to April 4, 2020 – qualification period for FIE Ranking. Notice that all of this starts RIGHT NOW! The points are kept on a one-year rolling basis, so April of 2019 is the starting point for everything. The upcoming World Championship, World Cups, and Grand Prix events are super important as they help to build the right ranking for the round of competitions that will lead us to the Olympics. It’s also where these international fencers will need to perform their best both individually and for their team towards the qualification. Some fencers who were out last season are set to come back, those who had injuries are now healing, etc. Watching world level fencers is super interesting right now! For all six disciplines, Men’s and Women’s each in Foil, Epee, and Sabre, the team events at the World Cups and Championships are going to be tremendously important. The United States fencing team is in a positive place to make it far into the qualification for the Olympics. We had a wonderful showing in 2016 in Rio Olympic Games, and there is every reason to believe that all of that talent and more will be back to challenge for the Olympic podium. The U.S. is among the top four in almost every discipline, and the prospect of qualification for the full squad is very good. There are no guarantees in any of this of course, but there is every reason to follow the hunt for Olympic fencing qualification closely and so see how it all goes! There will be twists and turns along the way, and we promise surprises and upsets. The most important thing in any sport is to build a strong foundation of experienced athletes though, and America has worked hard to do that over the past twenty years. It will definitely be a fun ride! There are other specifics that are part of the process, but those are complex and not necessary for the casual follower of Olympic fencing qualification to understand in order to enjoy the fencing qualification process. If you want to dig a little deeper, be sure to read the Official FIE Qualification System for the Games of the XXII Olympiad in Tokyo 2020. If you can make sense of these basics that we’ve included here, then you’ll be well placed to delight in how your favorites progress! And of course learn some new favorites! Happy fencing, and we can’t wait to see who makes it to Tokyo!